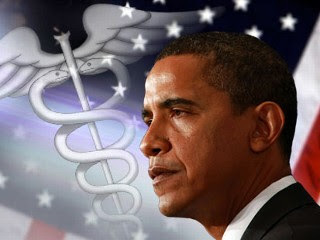 Will the ACA Survive the Supreme Court, 2012 Election? The 26 states that have challenged President Barack Obamas healthcare law face several dilemmas as they try to convince the Supreme Court to declare the law’s Medicaid expansion unconstitutional The two lower courts that heard the Medicaid challenge ruled in favor of the Obama administration, even as those judges struck down the healthcare law’s individual mandate. Legal experts on both sides of the mandate debate were surprised that the Supreme Court agreed to also hear the Medicaid piece of the state’ lawsuit. The healthcare law’s supporters claim that the states erred in their initial brief on the Medicaid expansion, which was filed with the Supreme Court. According to the states involved in the lawsuit. the ACA’s Medicaid expansion is “coercive.” Although state participation in the program is strictly voluntarily, the brief argues, the healthcare law makes it impossible for states to opt out of Medicaid. The brief tries hard to link the Medicaid expansion to the individual mandate, arguing that states won’t be able to exercise their legal right to leave Medicaid because it’s the only way for Medicaid-eligible residents to fulfill the mandate. “While the (Affordable Care Act) purports to leave states’ participation in Medicaid nominally voluntary, multiple aspects of the Act evince Congress’ keen awareness that, in fact, no state will be able to reject its new terms and withdraw from the program,” the brief says. “Most obviously, the ACA’s individual mandate requires Medicaid-eligible individuals to obtain and maintain insurance.” But most Medicaid-eligible people would be exempt from the mandate, said Timothy Jost, a law professor at Washington and Lee University and a supporter of the health law. Then there’s the Supreme Court case, which will be heard in the spring and a verdict announced prior to the November presidential election. According to Kurt Mainwaring, a ksl.com contributor, “Far-reaching consequences of the court’s ruling will likely impact both the cost of healthcare and the outcome of the 2012 elections. If the Supreme Court rules that ACA is constitutional, healthcare costs will likely continue to rise — although at a slower rate than if the law were determined to be unconstitutional. At present, healthcare costs make up approximately 18 percent of GDP. If expenditures continue on their current trajectory, “the share of GDP devoted to healthcare in the United States is projected to reach 34 percent by 2040.” Translated to real numbers, the Department of Health and Human Services (HHS) notes that Americans paid approximately $1,000 annually in healthcare costs in 1960; more than $7,000 per year in 2007; and are projected to pay more than $13,000 per year by 2018. This kind of increase in healthcare costs is not sustainable — and these kinds of projections are part of the reason ACA was enacted in the first place. Dr. Conge, it should be pointed out, lives in Vermont, to date the only of 50 states to enact a single-payer public option — Green Mountain Care. The Senate is expected to approve the legislation and send it to Governor Peter Shumlin, who campaigned to reform the state’s healthcare system. At that point, Vermont would need a federal waiver to implement the plan, something that cannot be provided until 2017 under provisions of the Patient Protection and Affordable Care Act (ACA). Nationally, single-payer healthcare, also known as Medicare for All, has proven popular in polls, but was rejected during the healthcare reform debate. “This bill takes our state one step closer to a system that ensures that all Vermonters have access to the care they deserve and contains costs,” House Speaker Shap Smith said. 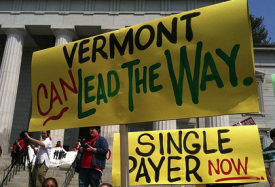 According to Shumlin, passing a state-funded healthcare system would make Vermont “the first state in the country to make the first substantive step to deliver a system where healthcare will be a right and not a privilege, where healthcare will follow the individual, not be a requirement of the employer, and where we’ll have an affordable system that contains costs.” The so-called RomneyCare system in Massachusetts is the framework for the Affordable Care Act. “We have a historic opportunity to fix a broken health care system,” said Representative Mark Larson (D-Burlington) and chairman of the House Health Care Committee. He said the goal is to “provide healthcare security to Vermonters” and decelerate the growth of healthcare costs. Supporters say the bill is designed to provide health insurance to the 47,000 Vermonters who don’t have coverage, provide better insurance to the more than 160,000 underinsured residents and cut costs. Opponents say that the state is moving too fast into uncharted territory. They say the proposed health system’s ultimate cost and how it would be funded aren’t made clear in the legislation. The Connecticut Coalition for Universal Health Care disagrees. “Healthcare providers would be in a fee for service practice, and would not be employees of the government, which would be socialized medicine,” according to the Coalition. One model of socialized medicine is the Veterans Administration’s (VA) network of hospitals, paid for by the government and managed by federal employees. Many veterans feel they receive better healthcare outcomes through the VA than at for-profit hospitals. Another model is TriCare, which administers the worldwide healthcare plan for 9.6 million eligible beneficiaries of the uniformed services, retirees and their families, also a superior system. Wisconsin is a national model for implementing the Patient Protection and Affordable Care Act (ACA). The state has accepted $37.7 million in federal funding to begin designing the state’s health insurance exchange as required by the law. But it remains unclear how the funding will be used under the administration of Governor Scott Walker, who opposes the law. Earlier this year, the Department of Health and Human Services (HHS) announced that Wisconsin, along with Kansas, Maryland, New York, Oklahoma and Oregon, had been selected as “early innovators”, meaning they received $241 million in federal grants to design IT systems for their exchanges. The systems developed will ultimately be used as models by other states, according to the department. Wisconsin applied to become an “early innovator” under former Democratic Governor Jim Doyle, who supports the new federal healthcare reform law. Early innovator states will play a critical role in developing a consumer-friendly marketplace where insurers must compete to deliver the best deal,” said HHS Secretary Kathleen Sebelius. She noted that the grants will lay the groundwork to “ensure consumers in every state will be able to easily navigate their way through health insurance options.” Although states must begin operating the exchanges only in 2014, they are required to declare their intent to form them by January 1, 2013. The federal government will run the exchanges in states that refuse to comply. Wisconsin Department of Health Secretary Dennis Smith said his state will fulfill that commitment. “Wisconsin has a bit of a head start,” Smith said, noting how the state began developing an automated eligibility system for its state-based health insurance programs. “That’s one thing that makes this state a leader. Part of what we believe is important with this exchange is to demonstrate that it should not be used in a regulatory manner that would disrupt our competitive market.” Wisconsin applied for the innovator grant while Doyle still was still the state’s governor. The chosen states were selected based on their technical expertise, readiness to develop information technology to operate the exchanges, the adaptability of their systems to other states and a demonstration that planning already was underway. Is healthcare reform a cure-all for the issue of medical bankruptcy? Depends. Bankruptcies occur when a person has a serious illness and cannot keep up with paying the bills. Since RomneyCare became law n Massachusetts, the number of medical-related bankruptcies fell from 59.3 percent to 52.9 percent between 2007 and 2009, according to a recent study. “Health costs in the state have risen sharply since reform was enacted. Even before the changes in health care laws, most medical bankruptcies in Massachusetts — as in other states — afflicted middle-class families with health insurance. High premium costs and gaps in coverage — co-payments, deductibles and uncovered services — often left insured families liable for substantial out-of-pocket costs. None of that changed. For example, under Massachusetts’ reform, the least expensive individual coverage available to a 56-year-old Bostonian carries a premium of $5,616, a deductible of $2,000, and covers only 80 percent of the next $15,000 in costs for covered services,” according to the researchers. According to the authors, an insured couple earning more than $44,000 a year – a level that is higher than the eligibility requirement for subsidies – might pay as much as $20,512 a year for medical services. “Massachusetts’ health reform, like the national law modeled after it, takes many of the uninsured and makes them underinsured, typically giving them a skimpy, defective private policy that’s like an umbrella that melts in the rain: the protection’s not there when you need it,” lead author Dr. David Himmelstein said in a Physicians for National Health Reform news release. The organization’s goal is a national single-payer healthcare system. “People think they have reasonable insurance until they try and use it,” said Dr. David Himmelstein, another study author. “You are carrying an umbrella and it starts to rain and you put it up and it’s full of holes. For most people, it just hasn’t rained yet.” High premiums, large co-payments and deductibles mean that even families with insurance have to pay substantial out-of-pocket costs, said Himmelstein, a professor of public health at City University of New York. Himmelstein said his survey’s findings suggest that the national health overhaul — which was modeled on the Massachusetts law and takes full effect in 2014 – is unlikely to ease the number of medical bankruptcies, either.